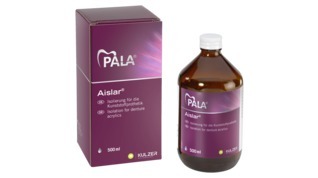 PalaXpress ultra is an optimized acrylic that can be used for all indications. A specialized additive improves fracture resistance of this high performance denture acrylic. The result: high stability and elasticity. 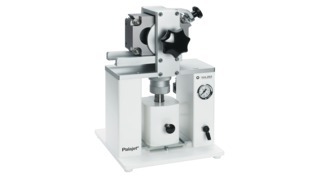 PalaXpress ultra is therefore particularly suitable for implant work. The acrylic is highly wear resistant and completely stable. Its smooth consistency makes processing much easier. As a part of the Pala system, it can be combined with all Pala accessories. PalaXpress ultra creates long-lasting prostheses, reduces repairs while increasing the satisfaction of the laboratory and the patient. PalaXpress ultra is therefore suitable for implant work. Prostheses can be processed more easily than conventional acrylics without a loss of structural integrity. Fracture toughness is a measure for break resistance. More economical thanks to fewer fractures and repairs. Dr. Paulo Malo recommends the all High Fracture resistant cold cured acrylic PalaXpress ultra from Kulzer. "PalaXpress ultra allows me to cover all indications with one product. Fractures in the laboratory have been significantly reduced. I save time and money — and my customers are more satisfied." 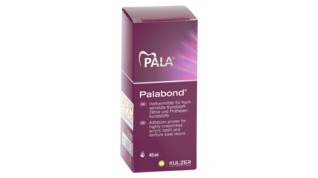 Pala cre-active is our light-curing color fluid system for individual characterization of the denture base. Well insulated: Aislar is the ideal insulation material for a precisely fitted prosthetic restoration – with absolutely no layers. 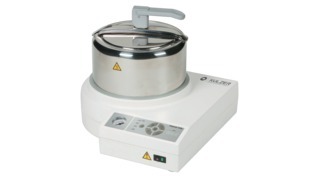 The Palamat elite pressure pot reliably cures heat-curing and cold -curing polymers. The unit for injecting full dentures is perfectly designed for the material properties of our Palapress vario and PalaXpress ultra denture acrylics. The cream for polishing dental appliances - High shine and removes scratches in 1 step.